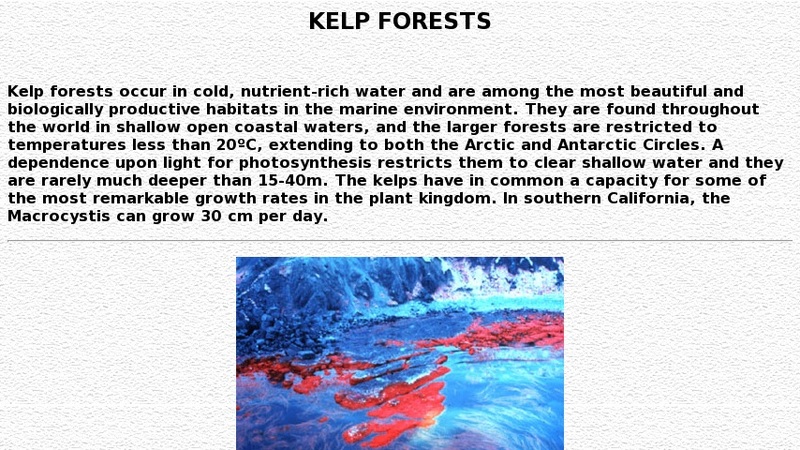 High school level and higher description with pictures of kelp forests and their associated fauna. In addition to pictures of large and small kelps, site includes photos of urchins, otters, and starfish. Topics covered include succession, zonation, predation, and predator-defense. The kelp life cycle is briefly discussed.